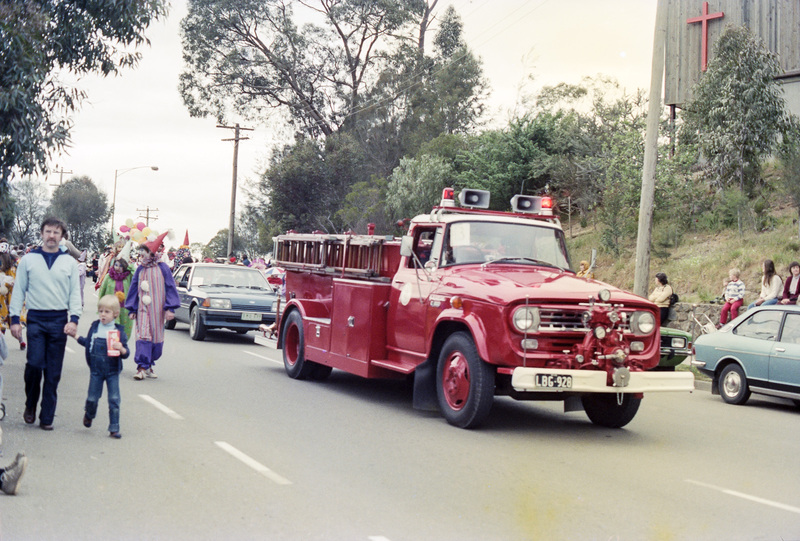 July | 2017 | Eltham District Historical Society Inc.
#ThrowbackThursday – Who can’t resist a good parade? 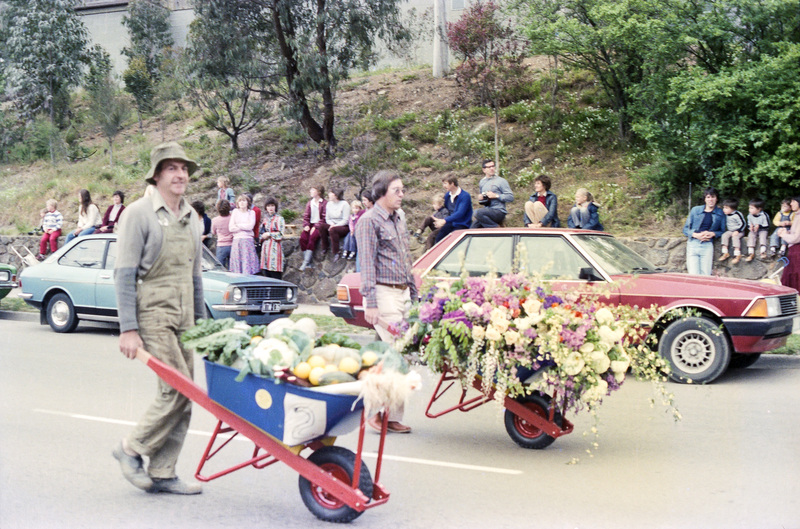 Nowadays the excitement and frequency of parades down Main Street, Eltham seems to have dwindled. Anzac Day, Eltham Spring Festival, in fact any good excuse; we just do not seem to experience them as much now but no doubt everyone can remember back to parades of the past; either participating through various school or community groups or simply watching the show and cheering the floats from the side of the road. 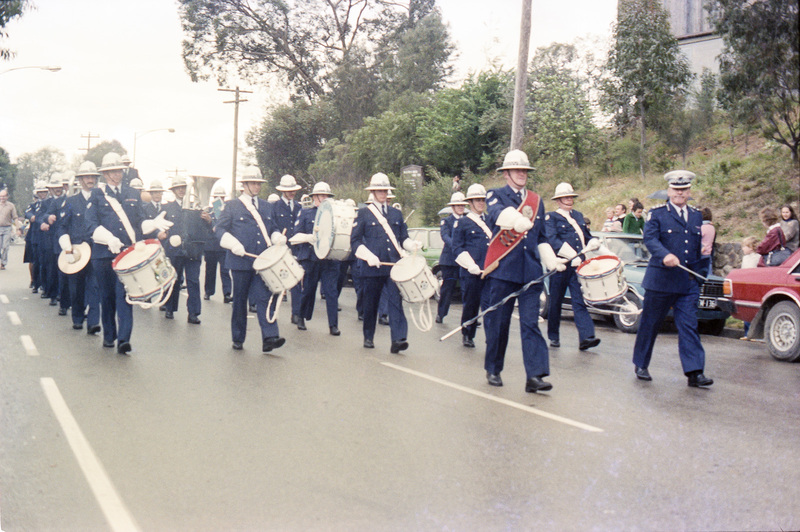 Today we time travel back to 1982 and the Eltham Parade as it progresses along Main Road past the Catholic Church heading towards Bridge Street. It was the year the Tasmanian Wilderness Society was in full force with the Save the Franklin River campaign, and Diamond Valley Railway was celebrating 21 years of passenger service. These images are from a roll of film recently digitised as part of our 50th Birthday project to catalogue our collection on Victorian Collections to help preserve and share these precious moments in time. Does anyone remember this parade? 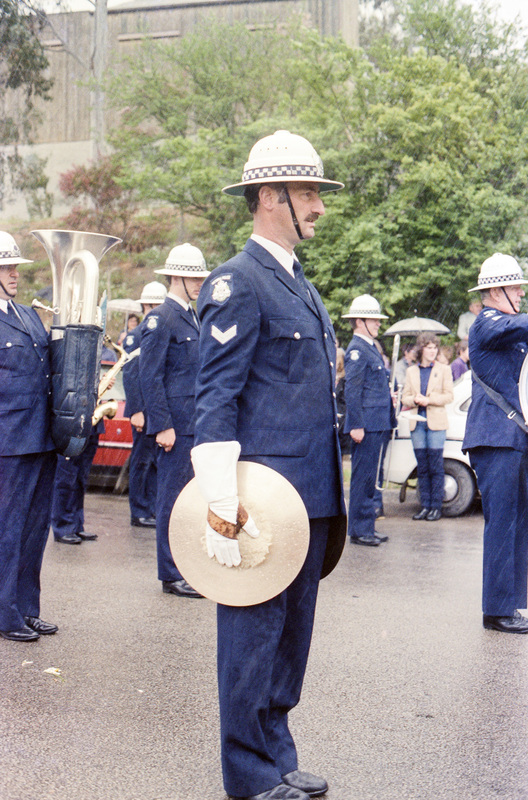 The time was late 1982 or early 1983; most likely Spring, 1982 and typically of that time of year, towards the end of the parade it poured with rain. What is a parade without a fire engine to rev up the children (big and small). The Catholic Church can be seen in the background, much the same as today. 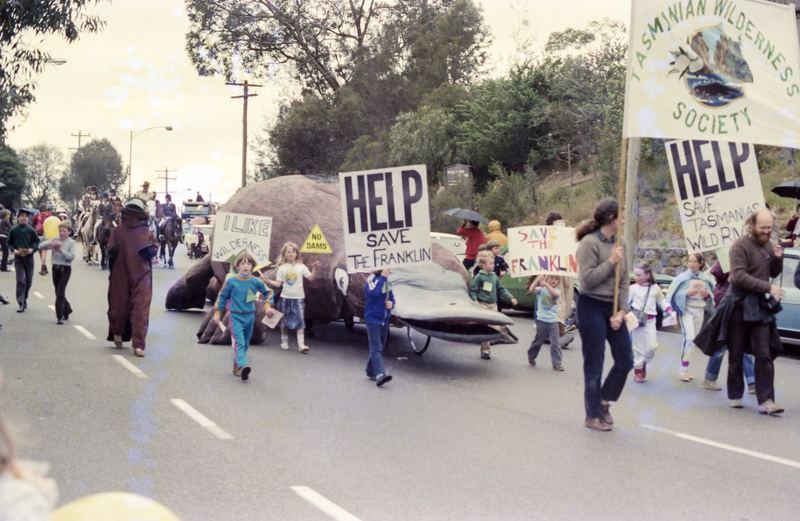 The Tasmanian Wilderness Society’s platypus float and Save the Franklin campaign, which resulted in success in 1983. 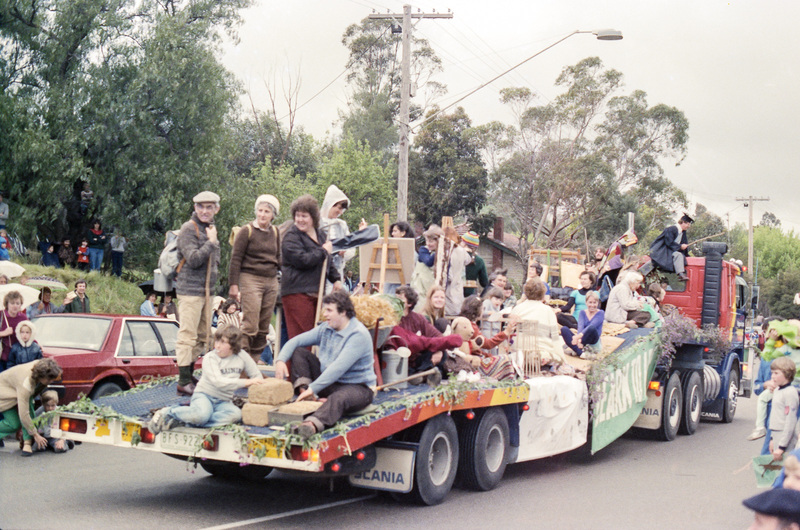 The Shire of Eltham Historical Society’s float as we used to be formally known as prior to the cessation of the Shire in late 1994. 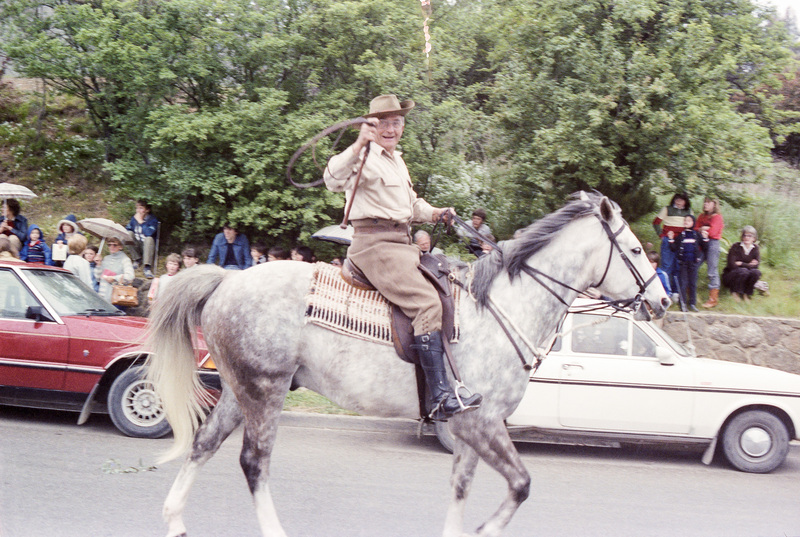 And what parade in Eltham did not include Jock Read on his faithful mount here leading (but not seen in this image) the Horse and Pony club. 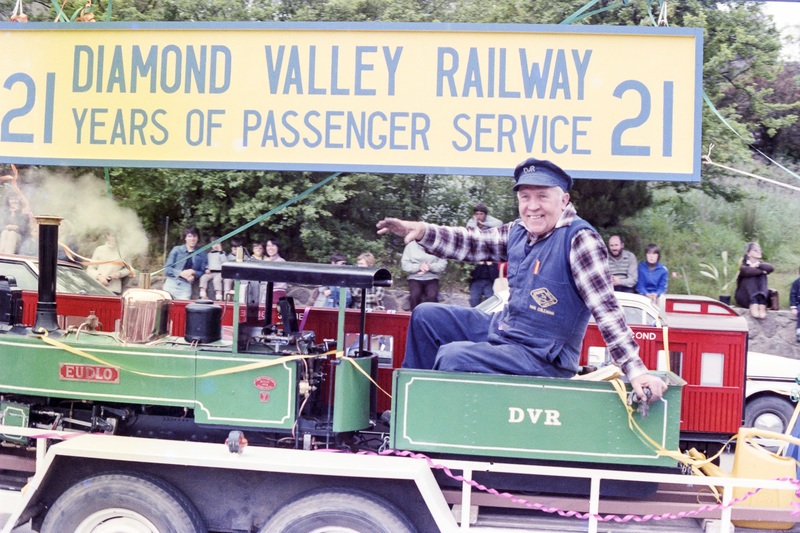 Diamond Valley Railway was founded in 1960 and commenced operations in 1961. Celebrating 21 years of passenger service. 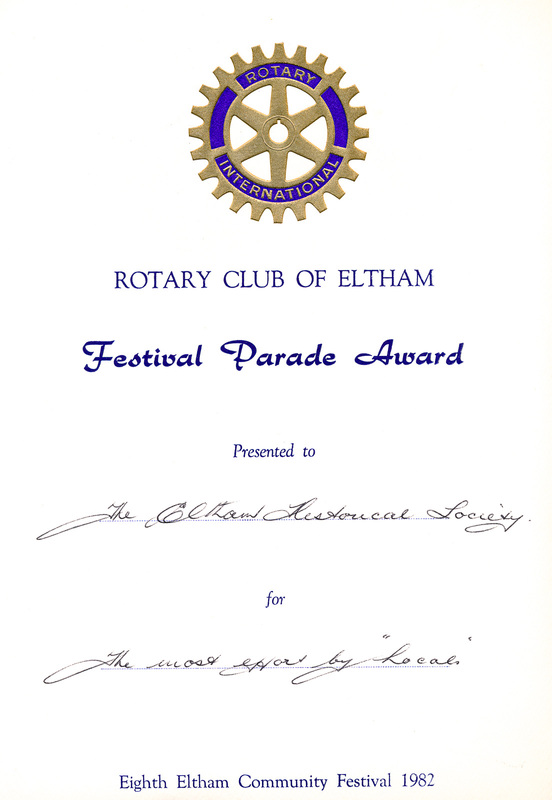 The Shire of Eltham Historical Society were awarded a certificate by Rotary for the most effort by ‘locals’ in participation of the Eighth Eltham Community Festival 1982. 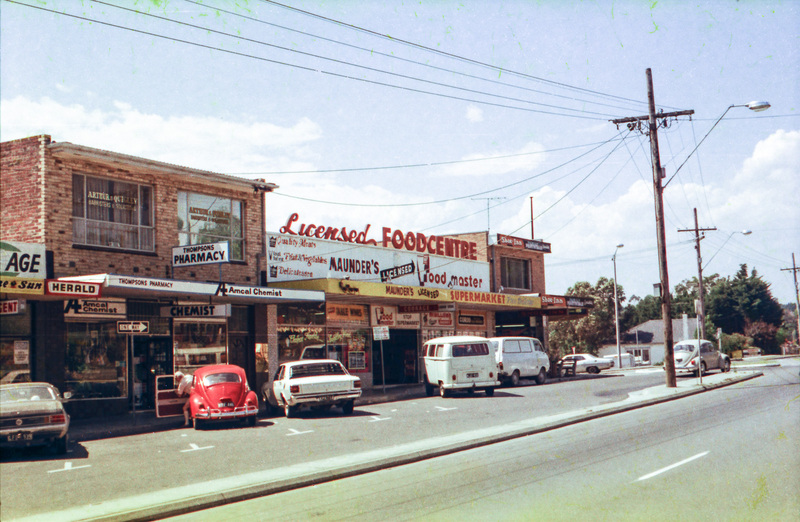 #ThrowbackThursday – Today we time travel back to the Lower Plenty shops and Maunder’s Licensed Foodcentre at the corner of Main Road and Para Road, Lower Plenty, c.1976; known today as the Lower Plenty IGA or Lower Plenty Cellars and Supermarket. 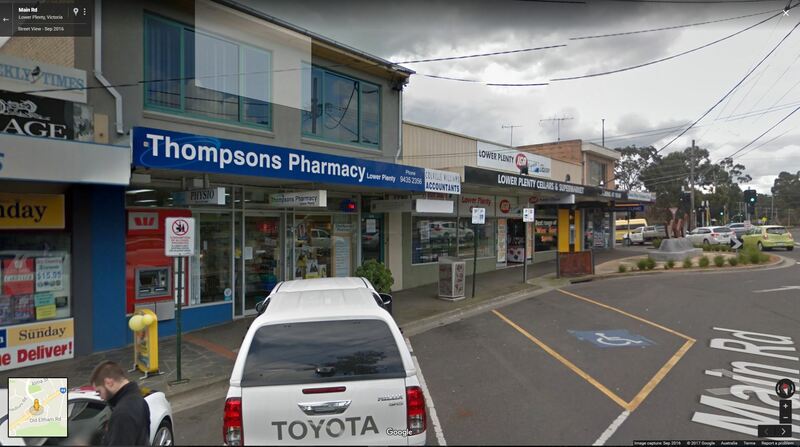 And alongside, another well known favourite, Thompsons Pharmacy, still going strong over 40 years later as well as the newsagency. 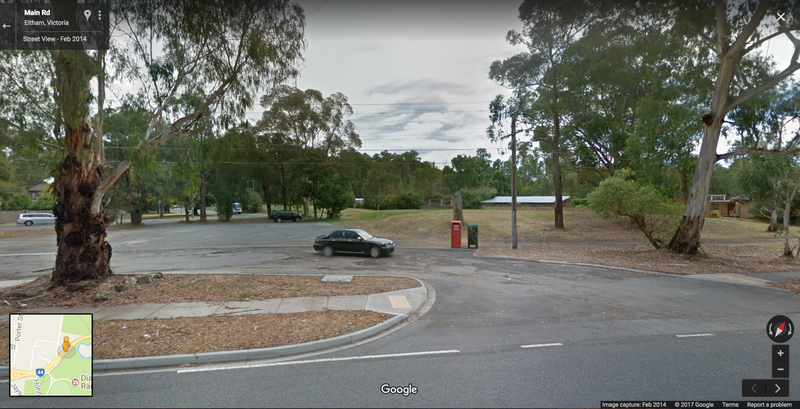 As always, we’d love to hear your recollections of visiting the Foodcentre, Thompsons, the newsagency or indeed any of the shops in this local shopping precinct. First stop is around ten years ago c.2007-2008 where we find Eltham Fine Food & Ice-cream, otherwise known locally as Willy Wonka’s given its motorised feature above the ice-cream servery. Many a child would have stood and wondered at this feature whilst waiting for their treats. 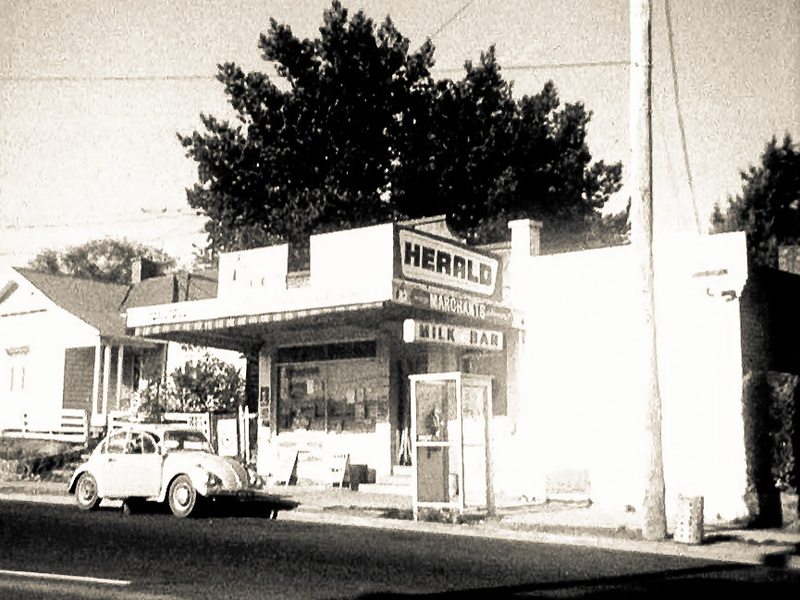 Next leap is 40 years back to the mid 1970s when the shop was then known as Marchant’s Milk Bar. 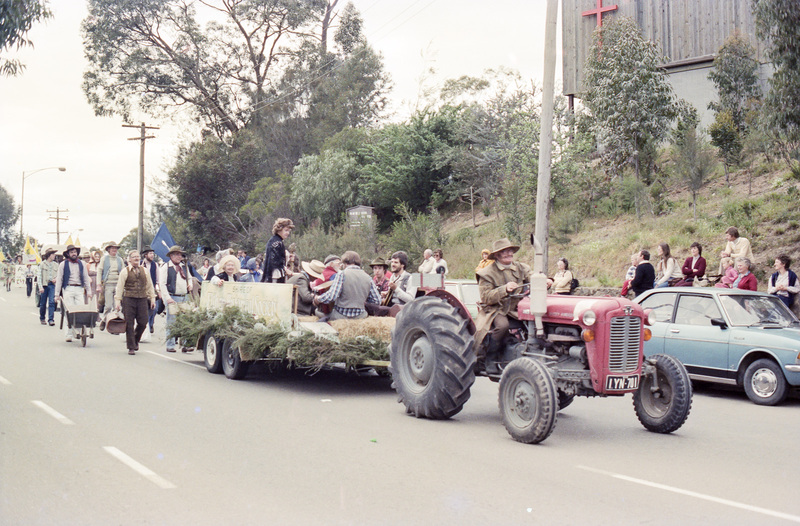 Source: From the Shire of Eltham Pioneers Photograph Collection (No. 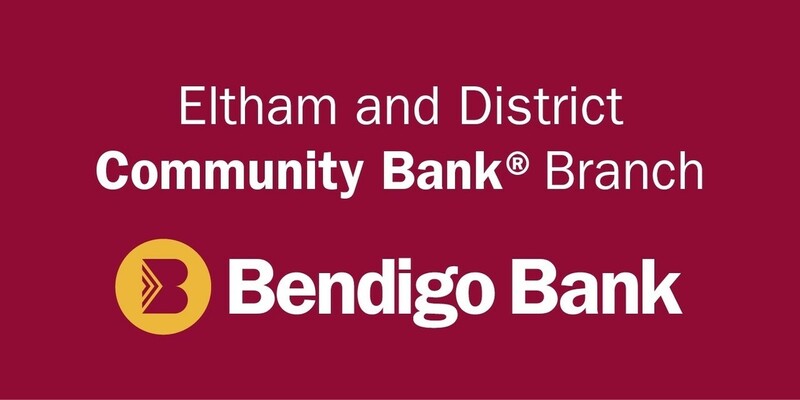 702) held jointly by Eltham District Historical Society and Yarra Plenty Regional Library; originally donated by Bruce Burgoyne to the former Shire of Eltham. 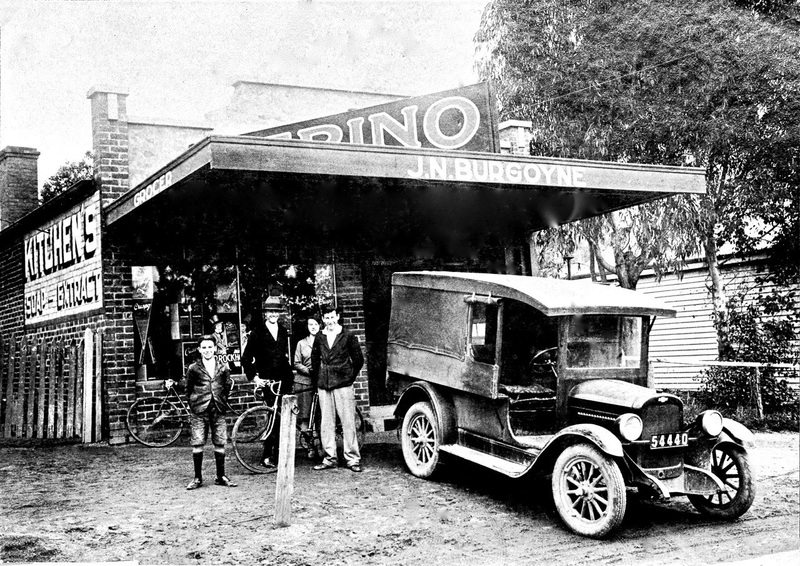 Now we jump back 77 years to 1940 where we meet the original owners, the Burgoyne family standing outside their shop. The extension with entrance to the right was a recent addition which in later years was variously modified and blocked off. And finally back approximately one hundred years to its original version, J.N. Burgoyne’s Grocery Store and Post Office. As always, we’d love for you to share your memories of visits to Willy Wonka’s (Eltham Fine Food & Ice-cream) or to Marchant’s Milk Bar. Of course it is unlikely that many today will personally remember Burgoyne’s as it was back in its time but it’s great to see the heritage of our area still standing and still being used. Back to the future and more recently, the shop was known as Sweet D Lites though has since closed. 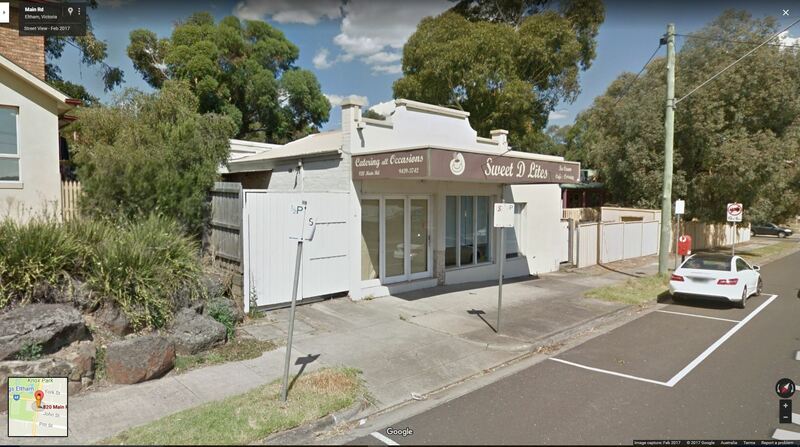 Big changes are now in store for the original building with a development application, initially refused by Nillumbik Council. 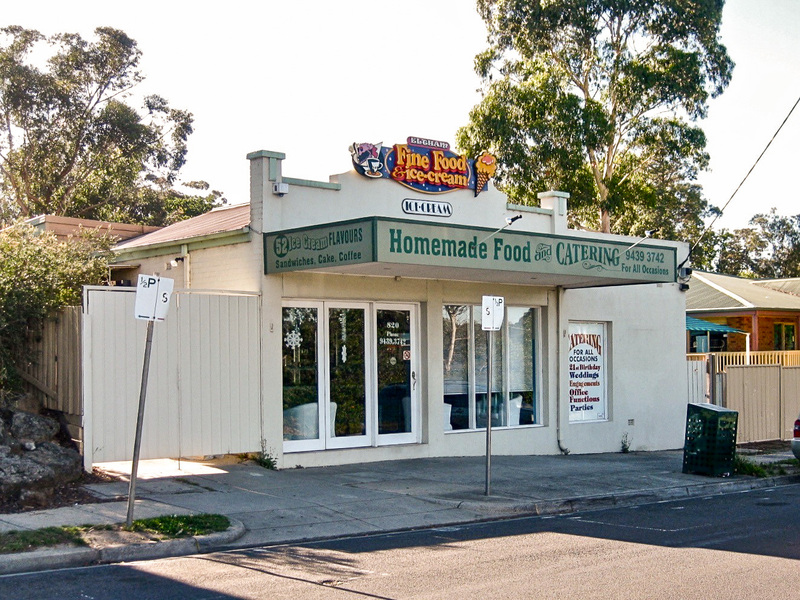 In November 2016 the Victorian Civil and Administrative Tribunal (VCAT) approved an application to allow the redevelopment of this property to provide two shops, building and works, including part demolition, alterations and extensions to this existing heritage building and construction of a contemporary addition with three, two-bedroom dwellings, including partly above the roof level of the existing heritage building. The Eltham District Historical Society was an objector at VCAT to this application. #ThrowbackThursday – Today we time travel back to 1960 Main Road, Eltham opposite the Lower Eltham Park, site of the current Fleur de Feliss flower stall. Many longer term residents of Eltham have fond memories of the chicken shop run by Ansell and Muir. 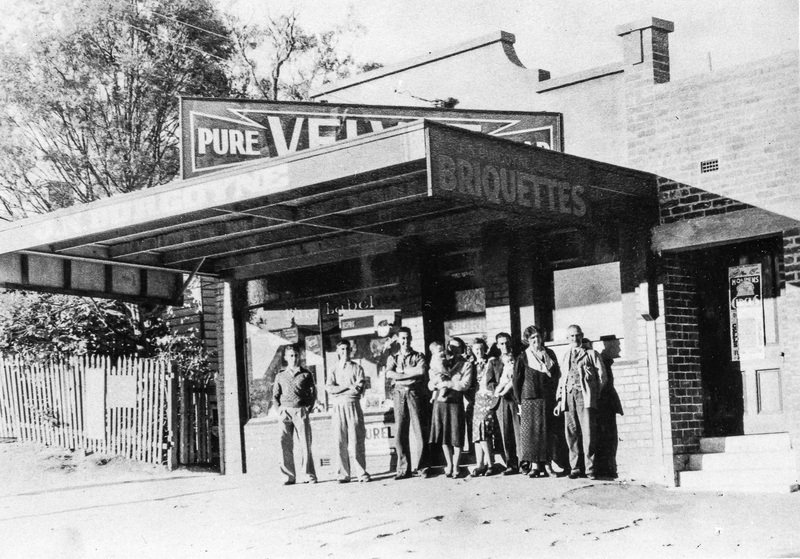 Unfortunately the store stood within the 1934 flood zone and the property was unable to be be redeveloped. The former Shire of Eltham acquired the land and the building was subsequently demolished. As always, we’d love to hear your recollections of visiting this store.